Do'h! Join Homer, Marge, Bart and Lisa as they race around Springfield landmarks on another madcap quest.There are strange happenings in Springfield. People are missing, very mysterious crop circles are appearing, and hidden cameras are being exposed. When Homer notices a black van with a satellite dish parked outside the Simpsons house, he decides to investigate further into these odd events. Explore Springfield as your favorite Simpsons characters as you unravel the plot that threatens the town's very existence. 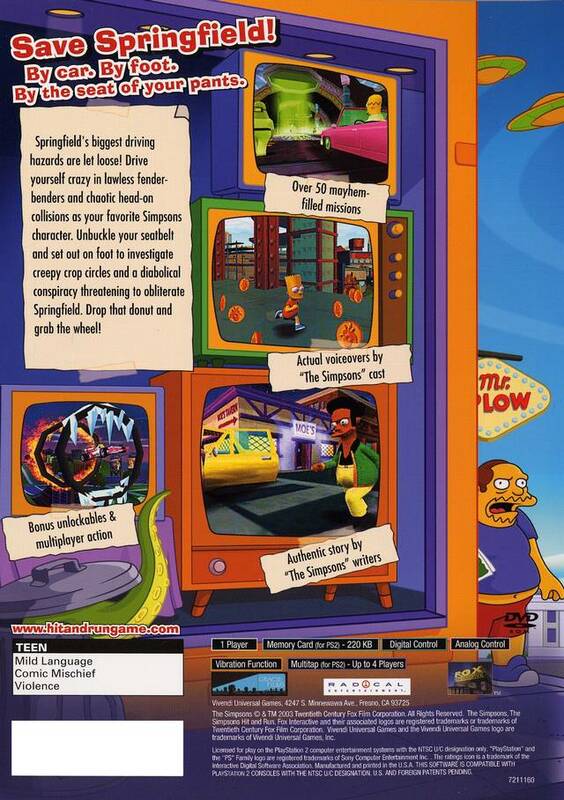 The best Simpsons game ever !!! It's like GTA in the Simpsonsverse you play with different characters like Homer Marge Lisa and Bart. There are tons of missions like races collecting items destroying things. You can buy many classic Simpsons vehicles like the Plow King and diffredif coustumes for your characters. 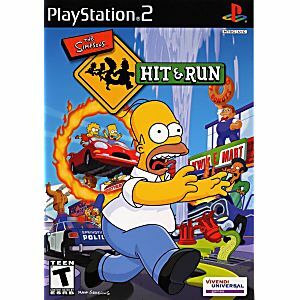 This is hands down the best Simpsons game ever made and just a really great game all togeather. The game came in great quality and I've been having a blast playing it so far! As always, I'm not disappointed Lukie games. 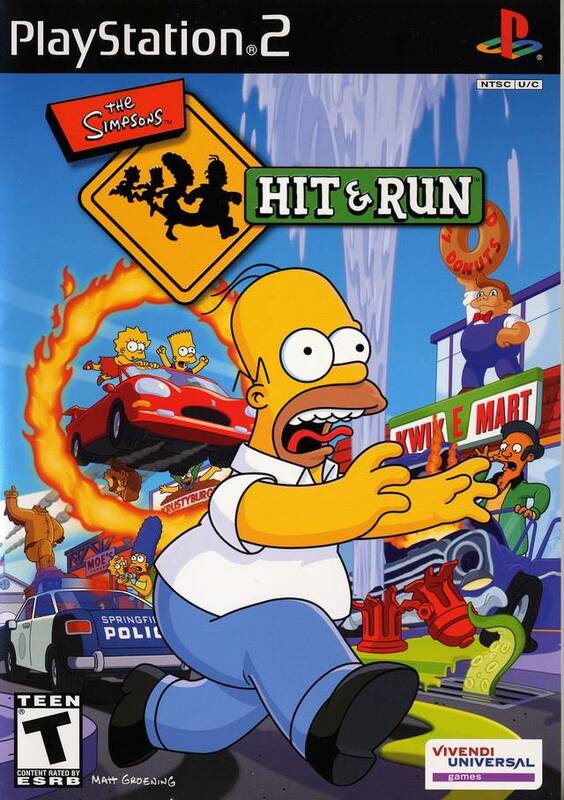 The Simpsons Hit & Run is a unique, open-world type adventure game. Take control of Homer, Lisa, Marge, Bart Simpson and also Apu in multiple worlds with unique cars & character costumes relating to episodes in the series. The game can be challenging, especially Patty & Selma's time trials though you can usually get it if you memorize the route. The storyline is nothing special, the charm of the game is in the cast/character voice acting & easter eggs from the series. Pick it up if you're a big fan of the show! My 7yr. old LOVES this game, he plays it constantly. He loves to drive the cars around and do the missions. Some of the language is not that appropriate, but that's to be expected it is "The Simpsons".